Over time, vehicles go through the daily wear and tear of driving down the road. This slowly damages the exterior of your car, letting debris scratch the paint and underbody. If bare metal is exposed to the outside elements for long periods of time, rust can develop. Erasing this damage is possible but requires some elbow grease to repair rust. 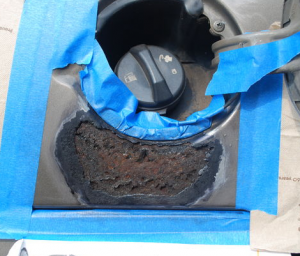 Rust on the exterior of your vehicle looks bad but also leads to further damage over time. Rust corrodes metal, disintegrating and warping it. 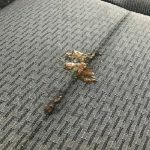 This can affect your car in multiple ways, especially if the damage occurs on the underbody or near areas that support the vehicle. 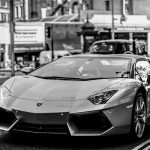 Walking the exterior of your car, keep your eyes peeled for any dents or scratches. When these penetrate the clear coat, there’s a higher chance it will create rust. If any bare metal is visible, it needs to be taken care of as soon as possible. Some rust spots are hard to distinguish because they create small bubbles, blocking the rust from view. Take your time when you inspect the car. 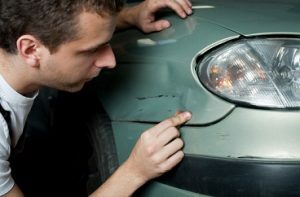 Once you identify rust spots on your car, you will need to tape off the area. Use masking tape to create a perimeter around the spot, separating it from the exterior car paint. This keeps you from damaging the surrounding area when working on the bare metal. Don’t forget to clean the area thoroughly before starting the process. Tape off the affected area to prevent damaging surrounding areas. For small spots, 80 – 150 grit sandpaper works to grind away any leftover paint and rust. Work in small sections until the area is smooth. The bare metal should be visible without any evident damage remaining. If the spot you’re working on is substantial, a grit wheel might be a better option. 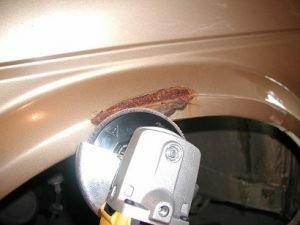 A 120 grit wheel works to repair rust by grinding down the layers. This exposes the bare metal at a faster rate than sandpaper. However, make sure you know how to properly use the machine. A grit wheel is the most efficient method to eliminate rust but can cause further damage if not used properly. This might seem counter-intuitive, but the next step will be to create a dent. Using a body hammer, gently create an indent where the rust used to be. 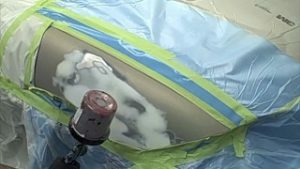 When you use the body filler in the following step, this will ensure the surface stays even. Next, take a body filler kit and follow the instructions on how to mix (normally combine hardener and body filler). Fill in the dent, spreading the paste evenly. Stop when the filler reaches slightly past the rest of the vehicle. Allow the paste to dry thoroughly before moving to the next step. This time, use 80-grit sandpaper to smooth out the filler. Continue the process until the surface is level with the rest of the vehicle. 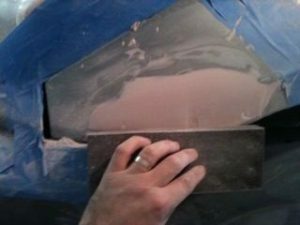 Finally, grab a 240-grit sandpaper and run it over the surface to smooth any rough spots. Before applying primer to prep the vehicle for paint, wipe away any residue or dust particles. Apply the primer one coat at a time, using a fine grit sandpaper to smooth each layer. Repeat this process several times, allowing each coat to dry before sanding. Most car owners struggle to find the exact color of their vehicle. However, if you visit a dealership, they can order the specific paint for you through the manufacturer. It might cost more initially, but you won’t have to worry about the paint being mismatched. Paint is applied with the same process as you did with the primer. Apply a coat of paint, letting it sit to dry before sanding it down. Repeat this several times. Finally, apply one layer of clear coat to seal off the area. This will help protect the paint from further scratches and damage. This restores your car’s paint to a shiny finish, eliminating any hint of rust. However, the best way to repair rust is prevention! 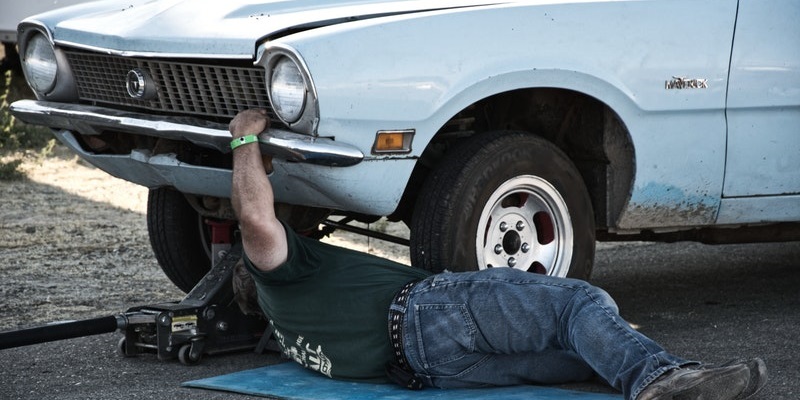 A professional service will help rust proof your vehicle. 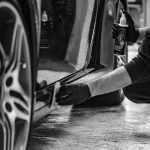 DetailXPerts, an eco-friendly, mobile auto detailing company has highly-trained technicians to help. Schedule an appointment today.